In broadcasting, rotation is the repeated airing of a limited playlist of songs on a radio station or satellite radio channel, or music videos on a TV network. They are usually in a different order each time. However, they are not completely shuffled, so as to avoid varying the time between any two consecutive plays of a given song by either too much or too little. When measuring airplay, the number of times a song is played is counted as spins. Broadcasting is the distribution of audio or video content to a dispersed audience via any electronic mass communications medium, but typically one using the electromagnetic spectrum, in a one-to-many model. Broadcasting began with AM radio, which came into popular use around 1920 with the spread of vacuum tube radio transmitters and receivers. Before this, all forms of electronic communication were one-to-one, with the message intended for a single recipient. The term broadcasting evolved from its use as the agricultural method of sowing seeds in a field by casting them broadly about. It was later adopted for describing the widespread distribution of information by printed materials or by telegraph. Examples applying it to "one-to-many" radio transmissions of an individual station to multiple listeners appeared as early as 1898. A playlist is a list of video or audio files that can be played back on a media player either sequentially or in a shuffled order. In its most general form, an audio playlist is simply a list of songs, but sometimes a loop. The term has several specialized meanings in the realms of television broadcasting, radio broadcasting and personal computers. A classic is an outstanding example of a particular style; something of lasting worth or with a timeless quality; of the first or highest quality, class, or rank – something that exemplifies its class. The word can be an adjective or a noun. It denotes a particular quality in art, architecture, literature, design, technology, or other cultural artifacts. In commerce, products are named 'classic' to denote a long-standing popular version or model, to distinguish it from a newer variety. Classic is used to describe many major, long-standing sporting events. Colloquially, an everyday occurrence may be described in some dialects of English as 'an absolute classic'. A music director, musical director, or director of music is the person responsible for the musical aspects of a performance, production, or organization, for example the artistic director and usually chief conductor of an orchestra or concert band, the director of music of a film, the director of music at a radio station, the person in charge of musical activities or the head of the music department in a school, the coordinator of the musical ensembles in a university, college, or institution, the head bandmaster of a military band, the head organist and choirmaster of a church, or an organist and master of the choristers. In United States labor law, a hostile work environment exists when one's behavior within a workplace creates an environment that is difficult or uncomfortable for another person to work in, due to discrimination. Common complaints in sexual harassment lawsuits include fondling, suggestive remarks, sexually-suggestive photos displayed in the workplace, use of sexual language, or off-color jokes. Small matters, annoyances, and isolated incidents are usually not considered illegal. To be unlawful, the conduct must create a work environment that would be intimidating, hostile, or offensive to a reasonable person. An employer can be held liable for failing to prevent these workplace conditions, unless it can prove that it attempted to prevent the harassment and that the employee failed to take advantage of existing harassment counter-measures or tools provided by the employer. Canadian content refers to the Canadian Radio-television and Telecommunications Commission (CRTC) requirements, derived from the Broadcasting Act of Canada, that radio and television broadcasters must air a certain percentage of content that was at least partly written, produced, presented, or otherwise contributed to by persons from Canada. It also refers to that content itself, and, more generally, to cultural and creative content that is Canadian in nature. A radio format or programming format describes the overall content broadcast on a radio station. In countries where radio spectrum use is legally regulated, formats may have a legal status where stations are licensed to transmit only specific formats. Urban contemporary, also known as urban pop, or just simply urban, is a music radio format. The term was coined by New York radio DJ Frankie Crocker in the early to mid-1970s. Urban contemporary radio stations feature a playlist made up entirely of genres such as R&B, pop-rap, British R&B, quiet storm, adult contemporary, hip hop, Latin music such as Latin pops, Chicano R&B, Chicano rap, and Caribbean music such as reggae. Urban contemporary was developed through the characteristics of genres such as R&B and soul. Largely a US phenomenon, virtually all urban contemporary formatted radio stations in the United States are located in cities that have sizeable African-American populations, such as New York City, Washington, D.C., Detroit, Atlanta, Miami, Chicago, Philadelphia, Montgomery, Memphis, New Orleans, Cincinnati, Dallas, Houston, Oakland, Los Angeles, Flint, Baltimore, Boston, Birmingham, and Jackson. Urban contemporary music is also very popular in France and the United Kingdom. Nice & Smooth is an East Coast hip hop duo from New York City that consists of Greg "Greg Nice" Mays and Daryl "Smooth B" Barnes, plus their deejay Tedd "DJ Teddy Tedd" Whiting. The duo released four albums between 1989 and 1997. Their first collaborative appearance was on the single "Dope on a Rope"/"Skill Trade" on Strange Family Records in 1987. On the strength of that underground single they managed a guest spot on the song "Pimpin Ain't Easy" by Big Daddy Kane on his 1989 album It's a Big Daddy Thing. WDVD is a Hot Adult Contemporary radio station in Detroit, Michigan, broadcasting at 96.3 MHz on the FM dial. Owned and operated by Cumulus Media, WDVD's studios and offices are located in the Fisher Building in Detroit's New Center district near downtown, while its transmitter is located in Oakland County in Royal Oak Township at 8 Mile Road and Wyoming Avenue. R&B/Hip-Hop Airplay is a chart published by Billboard magazine that ranks the top R&B and hip hop songs in the United States, based on audience impressions from a panel of radio stations monitored by Nielsen Broadcast Data Systems. It was also used in sister publication R&R, which listed the chart as Urban National Airplay. The chart is not the R&B/hip-hop subset of the Hot 100 Airplay chart, but rather uses a separate panel of R&B stations in urban and urban adult contemporary markets. It was the primary airplay component chart of the Billboard Hot R&B/Hip-Hop Songs chart until the issue dated October 20, 2012, when Hot R&B/Hip-Hop Songs was revamped to include digital sales, streaming, and airplay from all radio formats. The Hot R&B/Hip-Hop Airplay chart encompasses two separate airplay charts, both of which are based on radio spins rather than audience impressions: Mainstream R&B/Hip-Hop and Adult R&B Airplay, which measure airplay on urban contemporary and urban adult contemporary stations respectively. WJMH, "102 JAMZ," is a mainstream urban-leaning rhythmic contemporary FM radio station serving the Piedmont Triad region, with a hip hop-intense playlist. It broadcasts at 102.1 MHz with 99,000 watts of power and is licensed to Reidsville, North Carolina. Owned by Entercom, the station's studios are located near the Piedmont Triad International Airport in Greensboro, with a transmitter site near Stokesdale, North Carolina. 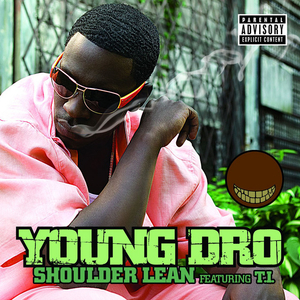 "Shoulder Lean" is a song by American hip hop recording artist Young Dro, released July 4, 2006 as his debut single and the lead single from his debut studio album Best Thang Smokin'. The song features Dro's fellow American rapper and Grand Hustle label-boss T.I. on the hook. The production was handled by Grand Hustle in-house producer Cordale "Lil' C" Quinn. The song was a massive hit in the United States, reaching the Top 10 on the Billboard Hot 100 and at number one on the Hot R&B/Hip Hop Songs chart. This was Young Dro's first and only Top 10 single and T.I. 's fourth Top 10 single. The song received heavy airplay and was certified 2x Platinum by RIAA. The Rhythmic chart is an airplay chart published weekly by Billboard magazine. WMSI-FM is a radio station in Jackson, Mississippi, and owned by iHeartMedia, Inc.. WMSI's signal covers a roughly 90 mile radius around the city with an ERP of 100,000 watts. KSWC was a radio station operated by students at Southwestern College in Winfield, Kansas, United States. The station was licensed for operation by the Federal Communications Commission (FCC) from 1968 to 2015. WGER is a radio station licensed to Saginaw, Michigan broadcasting a Hot Adult Contemporary format. The station broadcasts from a transmitter southeast of I-675 Exit 6 in Carrollton Township in Saginaw County. Adult contemporary music (AC) is a North American term used to describe a form of radio-played popular music, ranging from 1960s vocal and 1970s soft rock music to predominantly ballad-heavy music of the present day, with varying degrees of easy listening, pop, soul, rhythm and blues, quiet storm, and rock influence. Adult contemporary is rather a continuation of the easy listening and soft rock style that became popular in the 1960s and 1970s with some adjustments that reflect the evolution of pop/rock music. "Love All Over Me" is a song by American recording artist Monica. The Jermaine Dupri and Bryan-Michael Cox produced "Love All Over Me" rounds out Still Standing as another laid back, yet soulful track filled with admiration. The song was sent to rhythmic, urban, and urban ac airplay as the album's second single in the United States on May 31, 2010. "Love All Over Me" is a down-tempo R&B piece. ↑ King, Darrell W. (2010). This Business of Gospel Music. Darrell King. p. 152. ISBN 9780615410067. ↑ Psychologists: Christmas music bad for your health. Nexstar Media Group (November 7, 2017). Retrieved November 7, 2017.